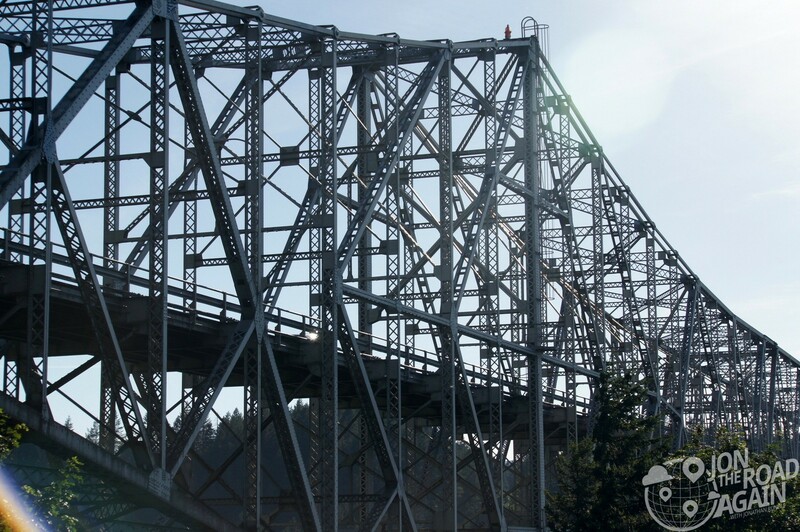 Rounding out my whirlwind tour of 3 of the 7 Wonders of Oregon, let’s go to the top of the state. 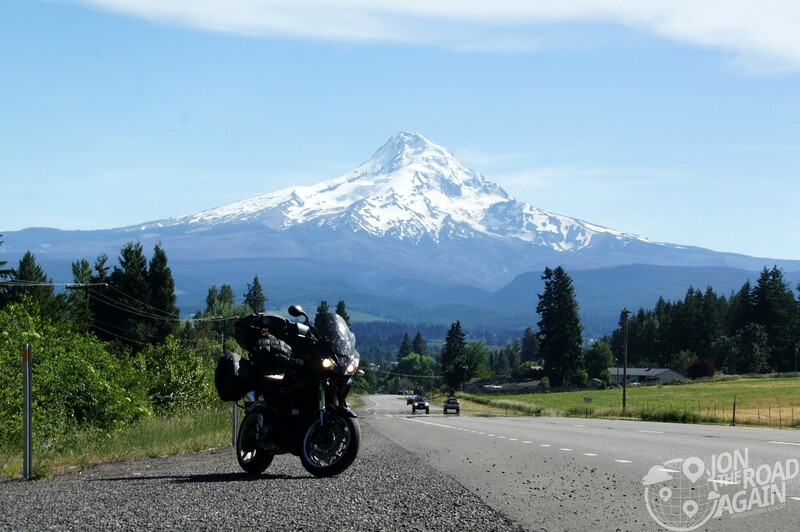 Mount Hood provides the “wow” to all the picture postcards of Portland. Only 50 miles away, Hood looks like the classic child’s drawing of a mountain. Snow capped, pointy and rising up from the flat land all around. 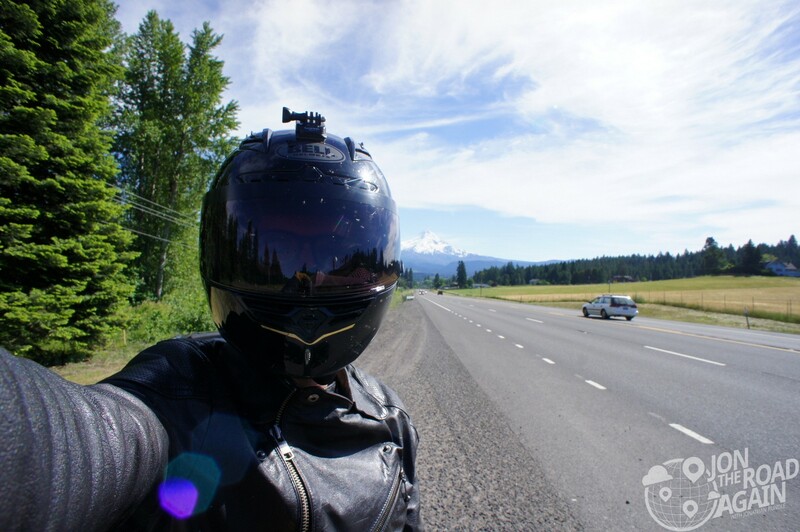 That “flat land all around” is the Mount Hood National Forest. Trillium Lake (above) is a popular spot for the area’s cool kids to BBQ and bask by the water’s edge. There are lots of campgrounds around the lake so I decided to go off-blacktop for just a little bit and explore the forest and the camping spots nearby. The Multnomah Indians called it Wy’east, Capt. 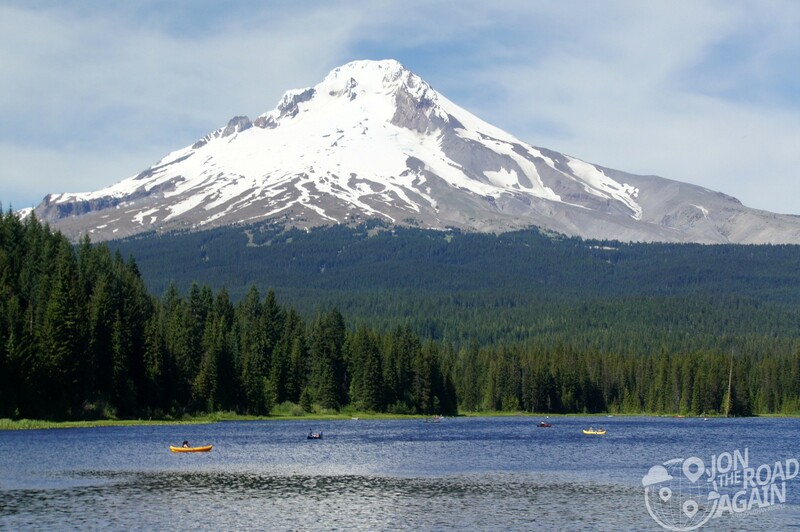 George Vancouver called it Mount Hood, Lewis and Clark called it Falls Mountain. None of those guys could go to the top for a beer though, so I win. 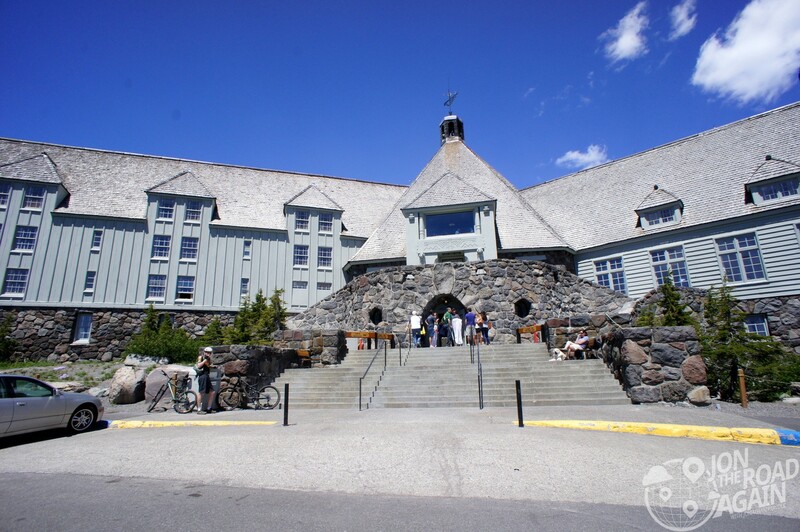 Behold the famous Timberline Lodge. Erected between 1936 and 1938, President Franklin Roosevelt dedicated the lodge on September 28, 1937. By 1955, the lodge had closed. In those early years, the lodge changed hands and none of the owners were able to run a profitable enterprise. 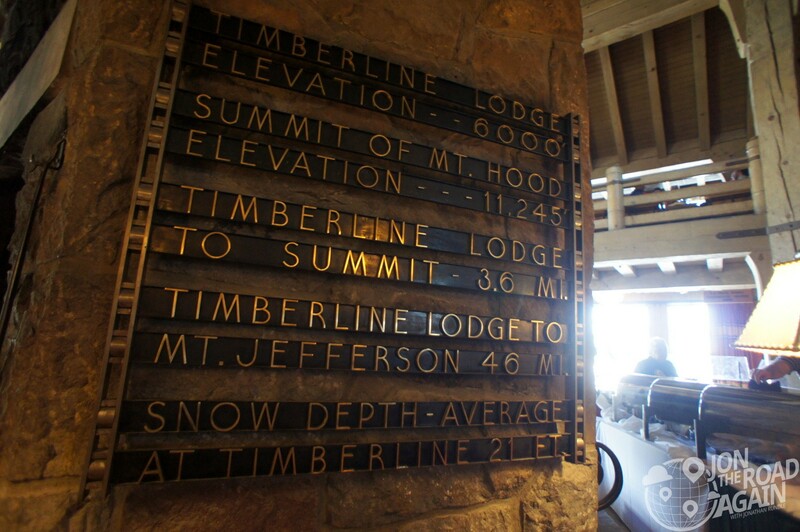 Timberline is probably best remembered from the 1980 Stephen King movie The Shining. Timberline was used for exterior shots of the movie’s fictional Overlook Hotel. Sadly, there is no hedge maze to chase Shelly Winters. All the interiors for that movie were done on a sound stage in England. See. No evil twins anywhere. Just some impressive artistry as you look around. 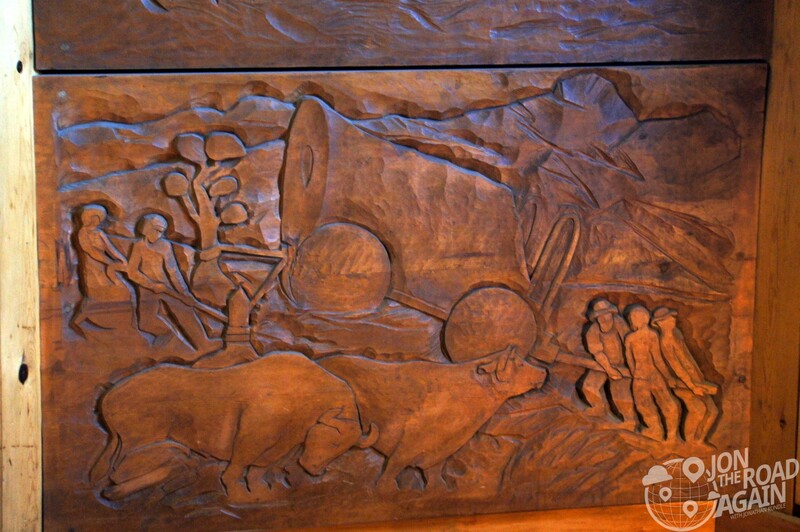 Wood carvings on all the staircases and references to the Oregon Trail and native peoples throughout. 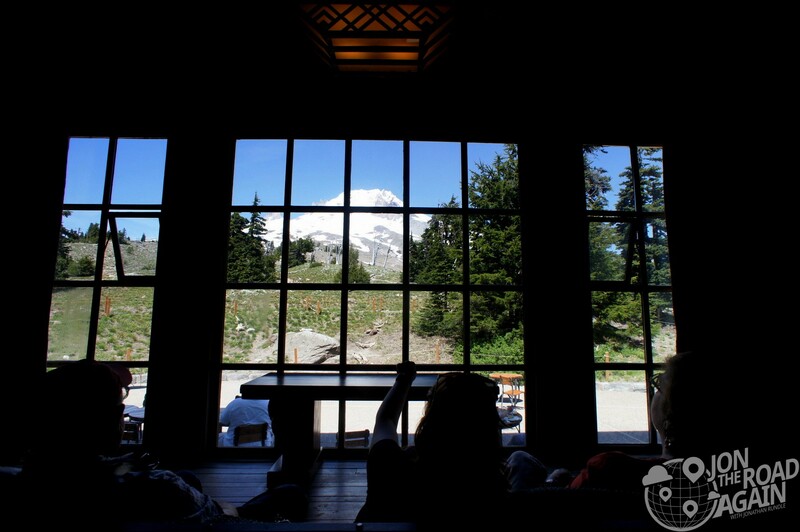 The lobby hosts a couple of bars and a restaurant each with incredible views of Mt. Hood to the north and Mt. Jefferson to the south. I was amazed at how quick and easy it was to get to the top. Mount Rainier by comparison is a full-day’s journey from Seattle. Not only is Rainier further away from the city, but the road to the summit snakes up and down hills into valleys and then winds all the way back up. Just when you think you’re getting closer, you’re headed back down into a valley. 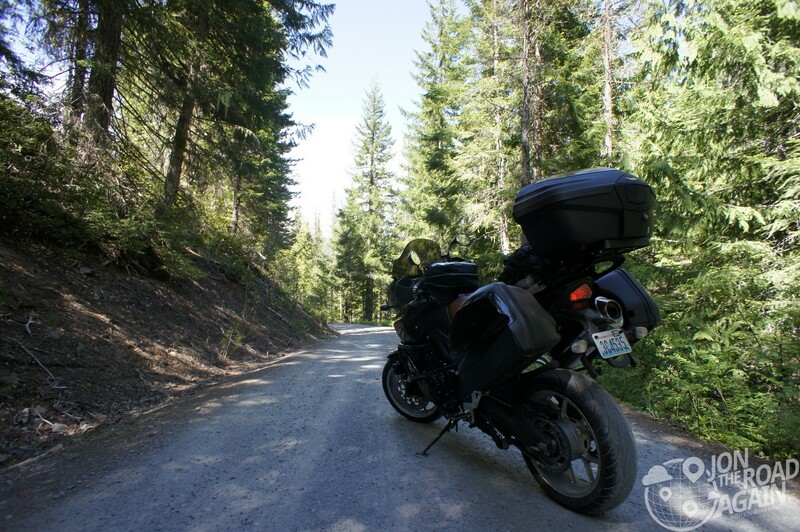 Mount Hood’s summit is a 10 minute ride from main road to Timberline. Not that I’m complaining about either trip – but it was not what one would expect from a 11,000 ft. mountain. After enjoying the twisties around Mt. Hood (and there are many) it was time to get to the Columbia River Gorge and follow I-84 into Portland to meet my friend Chris. I was in a bit of a hurry to make it back in time to meet him when he got off of work, so I didn’t stop many places. However, I did stop for an ice cream cone near the Bridge of the Gods and snapped this photo before moving on. Oregon was amazing and I can’t wait to ride it again. See all the posts for this Oregon trip here.